On Nov. 15, Las Vegas will be home to the 19th Annual Latin GRAMMY Awards, ushering in the most influential names in Latin music. Announcements already made for this year’s show include performances by Ángela Aguilar, Pablo Alborán, Karol G, Carlos Vives, as well as Maná (the six-time Latin GRAMMY and four-time GRAMMY-winning rock band). Maná will also be honored as the 2018 Latin Recording Academy Person of the Year during the annual gala on Nov. 14. Just added to next month’s lineup of performers are 2018 nominees J Balvin, El David Aguilar, Jorge Drexler, Kany García, Mon Laferte, Natalia Lafourcade, Victor Manuelle, Banda Los Recoditos, and Sebastián Yatra. Halsey will also be making a special guest appearance. J Balvin, who leads the race this year with eight nominations, was one who gave a standout performance on last year’s stage. In 2017, Balvin was joined by Steve Aoki, French Montana, and Bad Bunny for a fiery performance which included the fan-favorite, “Mi Gente.” Balvin stands as the frontrunner this year, two of his nominations being Record Of The Year and Album Of The Year. Out of the other performers on the 2018 bill, El David Aguilar, Jorge Drexler, Kany García, and Natalia Lafourcade are each nominated for four awards. Pablo Alborán is at three. Ángela Aguilar, Karol G, Victor Manuelle, and Carlos Vives are at two. And Mon Laferte, Banda Los Recoditos, as well as Sebastián Yatra have each earned one. There will be a number of events in Las Vegas leading up to The Biggest Night In Latin Music, honoring a variety of genres. Actress Ana de la Reguera and singer Carlos Rivera will host this year’s award show. The 19th Annual Latin GRAMMY Awards airs live on the Univision Network, Nov. 15, from 8 p.m. - 11 p.m. ET/PT (7 p.m. Central) from the MGM Grand Garden Arena in Las Vegas. A limited number of tickets are available here at AXS. Preceding the telecast (which will be distributed internationally to more than 80 countries), the Univision Network will present the exclusive "Noche de Estrellas" ("Night of Stars") from the red carpet, starting at 7 p.m. ET/PT (6 p.m. Central). 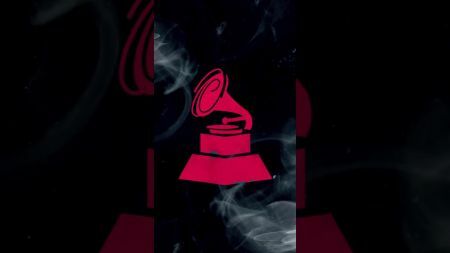 You can visit LatinGRAMMY.com for information on additional coverage as well as a complete list of this year’s nominees.